Supplies Galore Baby Shower Store. Take the guesswork out of ordering party supplies online. Find everything you need for hosting a baby shower…(Headaches not included)! For many of us, this is the highlight of the shopping list! There are lots of cute options too. The gift can be practical, elaborate, personalized, or unique. Gift-sets and new born gift baskets, are always a good idea when welcoming a little baby. However, the shower gift can be for new moms, dads, siblings, and grandparents too! When it’s difficult to find the perfect gift, or mommy plans to purchase everything for her new baby (a long-distance baby shower for example) a gift card is just the right idea. Our merchant partners have a great selection of gift cards in different styles, colors, and prices. What makes our store guide better? Find what you need, when you need it. 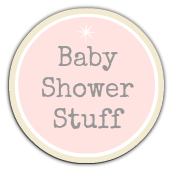 There’s no need to research multiple sites to find the perfect baby shower supply and gift hubs. No more searching for ways to save gifts and all the other amazing things you find. Our promo links and codes are posted daily-just shop and click, that’s it. Better yet, we’re happy to email our great deals right to your inbox. Find the answers and ideas you need, when you need them. Access a wealth of knowledge, hundreds of ideas, and even some free stuff too! Better baby shower ideas.com, is always free to use. Our site will help you with all your planning, from-start-to-finish. Best of all, there is never a fee, membership, or log-in required to use our site. We researched the best party supplies, favors, invites, games, ideas and gifts. We did the comparisons, reviews, and all of the leg work, leaving you free to- SHOP! We monitored, inventory, prices, special offers, shipping costs, shipping options, return policies, customer service, and website interactive tools. We read blogs, company history, policies, and any other prudent information we could find. It’s important that we understand, what’s unique about each store, and why you want to shop there. If you’ve already decided on a shower theme; choose an invitation that will make a good first impression. It should reflect or set the “tone” of the party you will be planning. For example: an elegant theme, calls for an elegant invite. A casual theme, can be represented with something cute and simple. Are you stumped for theme ideas? That’s not a problem. Invitations are ideal for fueling inspiration! Maybe, you just want to find wording ideas or cute baby poems- browsing custom invitations can be very helpful. Our baby shower store has hundreds of invitations and thank you cards. You won’t have any trouble finding something you love. Deciding which one to buy, may be difficult! Every time you visit our site, it supports us- THANK YOU! Register with our site and we’ll let you know about all the exclusive online deals and savings we have access to. Of course, feel free to opt out anytime!